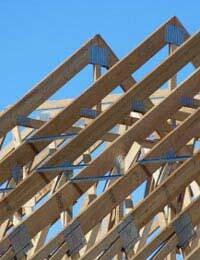 Home > Ask Our Experts > Extending Above a Garage: Are Plans Negotiable? We've just had plans approved for building on my existing garage to add to our bedroom and give us an ensuite. We've been told the Extension must start between .8 and 1.2 metres set back from the front of the house. Why is this? Where does this figure come from and is it negotiable? It's not easy to answer this question definitively as there are a couple of reasons why this ruling may have been made and we don’t know a great deal about the plans that were approved. The best way to approach the problem is to try and work out why this ruling has been made then you can assess whether re-submitting new plans will be worthwhile. It's not clear from the question whether you are only extending the garage on the ground floor or building an additional storey for the extra space. If it is just work on the ground floor then the most likely cause of this restriction is that building that extra bit on the front will bring your property too close to the frontage or another boundary. Planning rules surrounding garage conversions changed in October 2008, in England and Wales at least, making them more relaxed, but there is still a need to be more than a metre away from any boundary. The restriction could also be to keep the house in keeping with other houses in the area. If you are building a second storey on top of the existing garage and it is only the additional storey of the conversion that needs to be set back by 0.8 – 1.2 meters then that judgment is likely to have come from the visual aspect of the conversion. If you live in a street or estate where there are many similar houses then keeping the addition further back must have been to keep it looking in keeping with the rest of the street. If your planning application has been granted, you can't appeal against it, as appeals are only for rejected applications. However there is nothing to stop you phoning or writing to the planning office to find out why they have put the restriction in place. They are not particularly good about suggesting things that might pass the planning application process but they should be able to tell you this. Once you know why and can work around it, then you can re-submit your new plans for approval. However, if the reason for the restriction is unlikely to be overturned, then it would be wiser to save your money. Try and redesign the internal layout to get the space you need with the approved footprint instead. HiI have just built a single storey extension on the boundary line (which the neighbour formally objected) I now wish to put an airbrick through the wall and the neighbour will therefore have a grill on his side. He has again objected. Do I need his permission ? I was asking for access permission only and being courteous by notifying him. Can I proceed? You might have to check with your local planning department on this. Hi I have just built a single storey extension on the boundary line (which the neighbour formally objected) I now wish to put an airbrick through the wall and the neighbour will therefore have a grill on his side. He has again objected. Do I need his permission ? I was asking for access permission only and being courteous by notifying him. Can I proceed? Have large out building with swimming pool want to convert to holiday self catering accommodation. do I need planning permission? Yes you will probably need change of use permission. Your planning officer will be able to advice you before you submit an application.